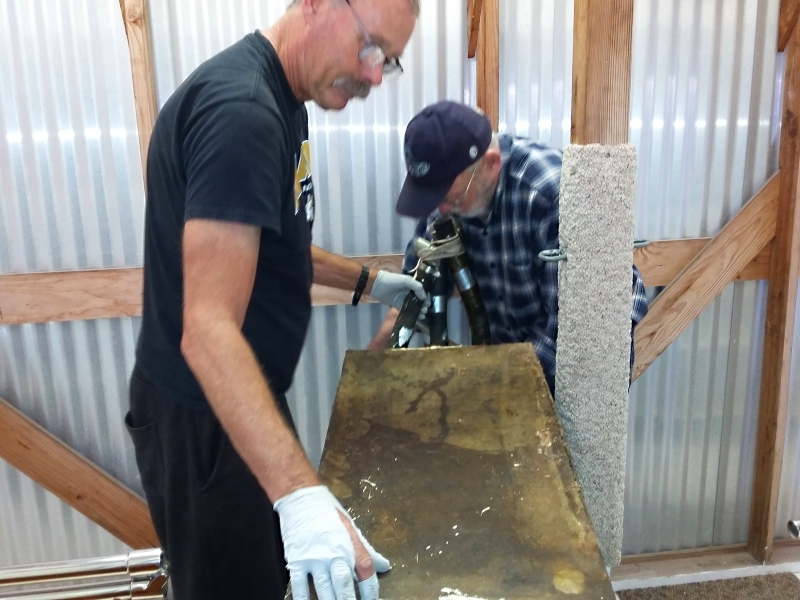 Dad & I wrestling the old holding tank from the front head. It had an unfortunate blow out last summer. Restless now has all new sanitation systems.